Miss Taguchi, 25, was speechless when she was named winner of the event. Miss Japan, Yuiko Taguchi, has been given a one year contract with the New York Models after she was crowned the winner of the 11th World Supermodel Production. 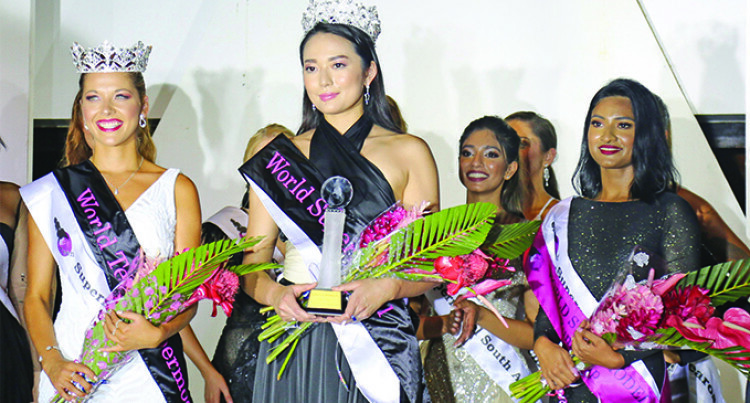 Twenty-six women from around the world strutted their stuff to impress the crowd at The Pearl Resort, Pacific Harbour, on Saturday night. “I am from Tokyo and representing Japan,” she said. “It was my plan to win the crown today. I didn’t think that I could make it, but I received the first prize now. “I am so happy to be here today,” Miss Taguchi said. Miss Taguchi said teenagers wanting to enter the modeling field must believe in themselves. Teen Papua New Guinea- Joyleen Tanfa.